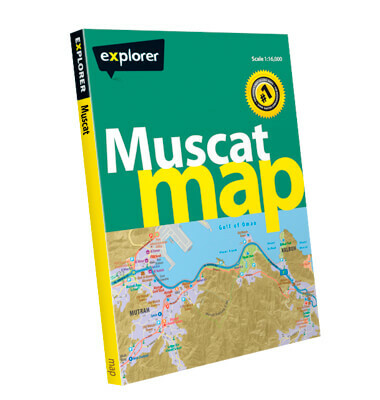 This fold-out map shows the whole of Muscat in pinpoint detail. The easy-to-read map features road names and numbers, hotels, malls, parks, beaches, embassies, hospitals and places of interest. Big on detail and design, it has been created by our in-house cartographers who have over 20 years of mapping Oman’s charming capital.